When it comes to reefer shipping outlook in 2019, there is actually a lot to be hopeful about. The bottom line is that the reefer shipping outlook for 2019 is extremely good. In this article, will be exploring some of the reasons why this is so. One of the reasons that reefer shipping is going to increase in 2019 is due to the technological innovations that are happening. There have been major advancements in cold chain storage and transportation, and this has started the growth trend within the industry. As technology improves, logistics become more efficient. Technology also improves fuel efficiency, temperature sensors and monitoring equipment, Wi-Fi connectivity to allow carriers to track cold storage and more. In 2019, there is definitely going to be higher demand for reefer storage and transportation. Demand is growing, and while there are lots of reasons why this is the case, the main driving force has to do with the higher number of people purchasing fresh food across the globe each year. There has been a health trend recently and fresh food is all the rage. In addition, pharmaceutical companies are producing more medication and vaccines that require cold storage. Another reason that reefer outlook is good in 2019 is the increase in new markets. In some countries, having refrigeration used to be fairly uncommon. However, that has changed and this increased demand for refrigerated products in those countries is one of the reasons why growth is happening. Finally, there are federal regulations on cold storage shipping that are changing, including laws that create higher standards on the safe transportation of perishable commodities in and out of the United States. That means that the need for established and professional carriers will be increasing in 2019. Cannonball Express Shipping Company has been providing top-of-the-line service at a reasonable rate. 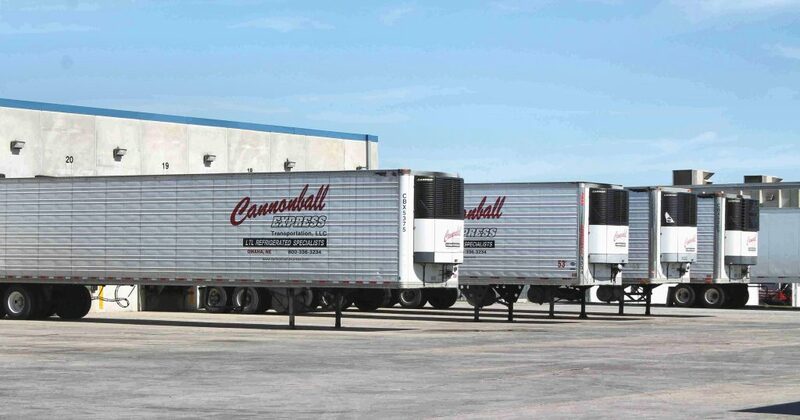 Based in Omaha, Nebraska, we provide nationwide refrigerated LTL services, as well as, local delivery services. Contact us today!